Woke up to another rainy day, and although I had planned to leave before 7am, decided to walk around first while waiting to see if the rain will let up. No such luck though, and I decided to proceed with the journey at a little past 8am. 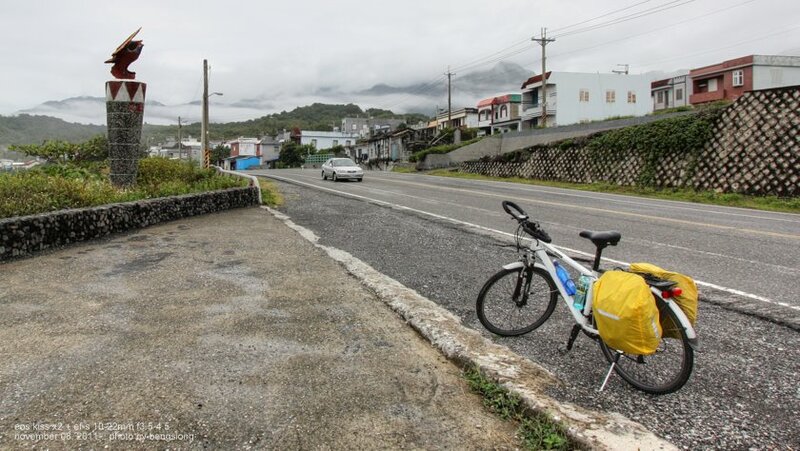 Yesterday evening’s slow uphill ride into the hot spring area was this morning rewarded with a nice effortless downhill cruise into the town center, albeit while having the drizzle turning heavier just as I was starting out for the day. Stopped for breakfast at a store along the main road paralleling the railway track, and had their signature glutinous rice dumplings and fish ball soup. Dropped by 7-11 again later for additional bottles of water and downed a large cup of Latte before continuing with the trip. Continuing, I took the road directly in front of the 7-11 leading away from the train station, which joined up and becomes Route 193 a short distance away. This leads past the Ruisui Rafting Tourist Center before crossing the Ruisui Bridge. 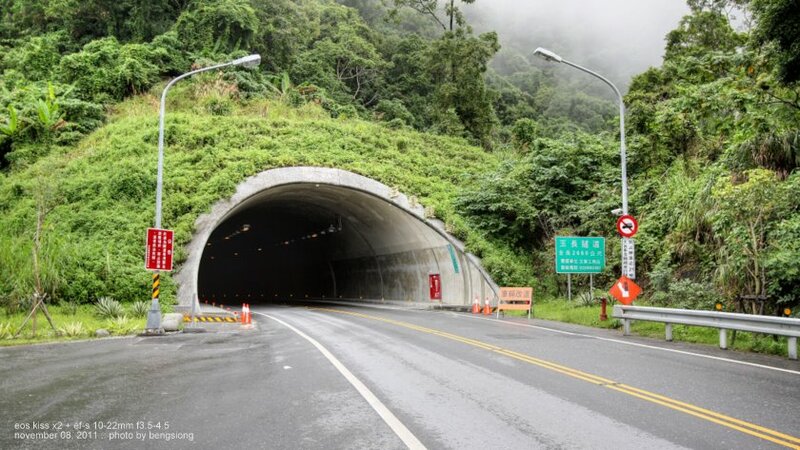 Had wanted to head to Ruisui’s Tropics of Cancer Monument (one of three Tropics of Cancer monuments in Taiwan) first, but decided to just skip it due to the late start, as it is along Highway 9, which is a bit out of the way if taking Route 193. Route 193 ended somewhere in Yuli, where it merged into Provincial Highway 9. Right after turning into Highway 9, there is a 7-11 store on the left, where I stopped for a light meal of fruits, chocolate bar and drink, plus stocking up on more water. Then onwards for a short section on Highway 9, before reaching the junction into Highway 30, a.k.a. Yuchang Highway. 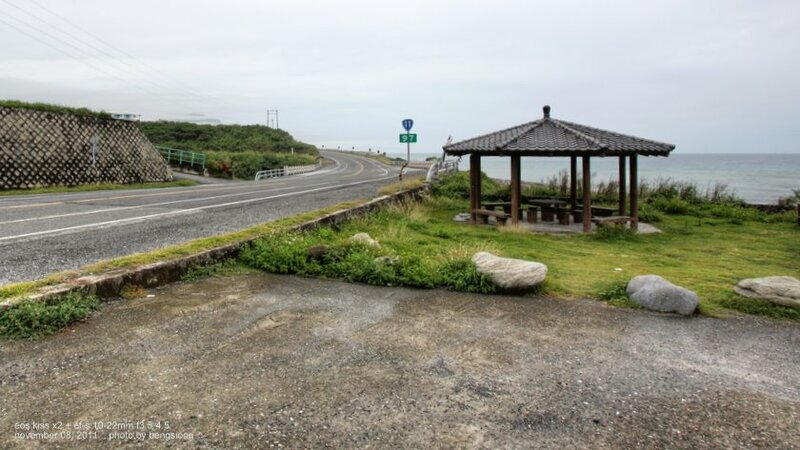 The name ‘Yuchang’ apparently came from the combinations of Yuli and Changbin, the two towns on each side that this highway connects together. 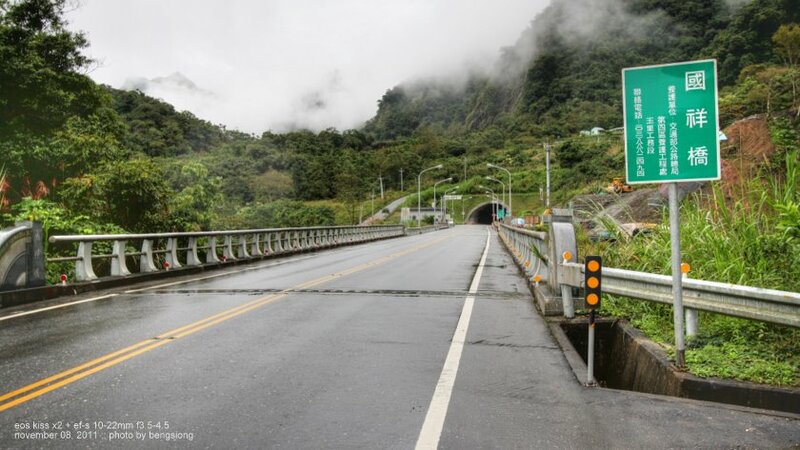 The climb up to the Yuchang tunnel feels a lot easier (and a whole lot faster, too) compared to the Ruigang Road climbs yesterday although the elevation is much higher, probably because the total elevation gains on the Ruigang Road is more. Also, this being a provincial highway route and the highway just built a few years ago, the road has wide shoulders and also, not much debris compared to Ruigang. 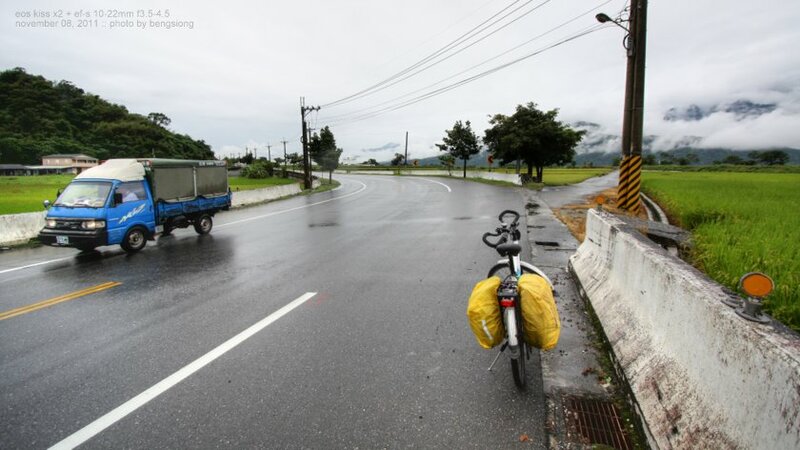 A break from the drizzles just as I started on the Yuchang route made for a more relaxing ride. Having the entrance of the tunnel in sight also meant the end of the only major climb for today. Heading from west to east side like I did, it is a nice downhill cruise passing through the tunnel :). The signboard posted at the east side of the tunnel entrance stated the tunnel length as being 2.66km in length. Being a relatively new road tunnel, there is ample road shoulders inside for bikes to ride on, although towards the end of the tunnel at the east side, there were quite a lot of little rocks scattered around on the bike lane for a short section that I hope someone will clear off soon. Anyway traffic was very light and I could just take the main lane and only move aside when I heard vehicles approaching. Exiting the tunnel on the east side, the view was an immediate disappointment because… there were thick clouds all around with limited visibilities. I had imagined the joy of an effortless downhill ride with a view of the blue Pacific stretching far into the distance ahead while I get closer and closer to the blue sea – but the reality was very much different. Oh well… still, it was nice rolling down the hill in the cool mid-day air. 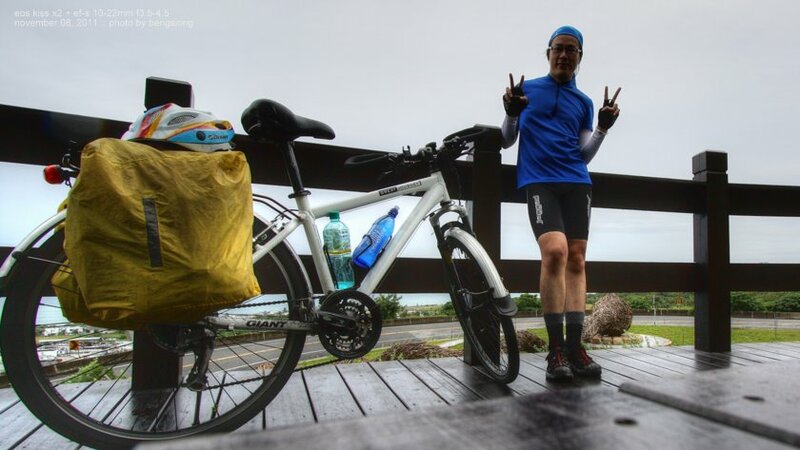 Photo: "Casting Glances of Love with Driftwoods"
Stopped at another larger rest-stop area for the restroom and hanged around for a bit after, probably somewhere around Wushibi. Couldn’t figure out the exact location of the rest stop though as searching through Google Earth now, I just couldn’t locate anywhere with a bit of semblance – probably the rest stop was newer. Unfortunately I kinda missed out on stopping at the Wushibi rock formations area and only realized it after I had already passed it a distance away. The next major stop was in Sanxiatai right before reaching Chenggong town. 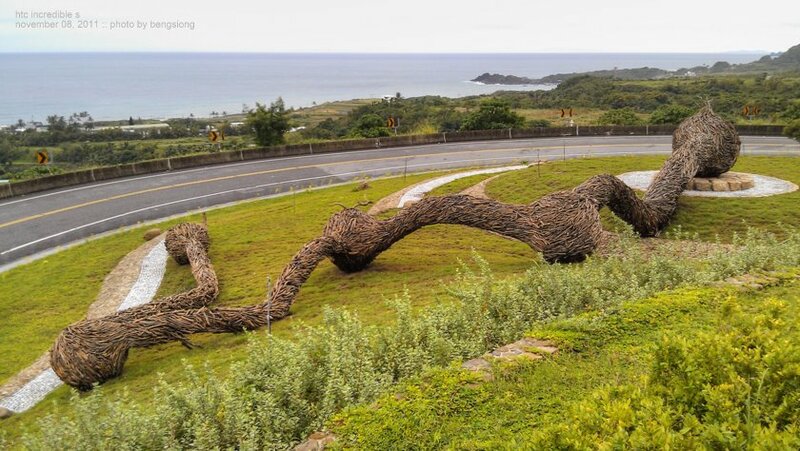 The bridge linking to the small rocky islet offshore resembling the long body of a dragon is certainly unique and eye-catching, yet I couldn’t help but wonder – isn’t this another case of form winning over function? A note security-wise with regards to leaving the bike unattended – I just locked the rear wheel to the frame with the cable lock and left the bike at the motorcycle parking area together with the rear panniers while I went off to explore around. The panniers contained only my clothes and some misc. items, while the valuables were in my backpack that I carried along. The bike together with everything else was still there when I returned around an hour later. And I did the same at various other places too. I probably spent a bit too long here looking around – left Sanxiatai at a little past 4pm, and skipped exploring Chenggong town/harbor nearby as it was already late and dusk would fall in around another hour’s time, and yet I still have a fair bit of distance to cover for the day that will likely take at least another two hours. Originally I had wanted to time my arrival at Chenggong Harbor at around 3pm as according to online info, that would be the time around when the boats came in to unload the day’s catches. And oh, on the way out from Sanxiatai, at one place, the road signboard was only present for the opposite direction of where I came from (went straight as there’s no sign indicating I should take a turn to get back onto Highway 11, reached a dead-end, turned back and only then saw a signboard pointing to the junction. Nope, no signboard that I can see at the other side...). 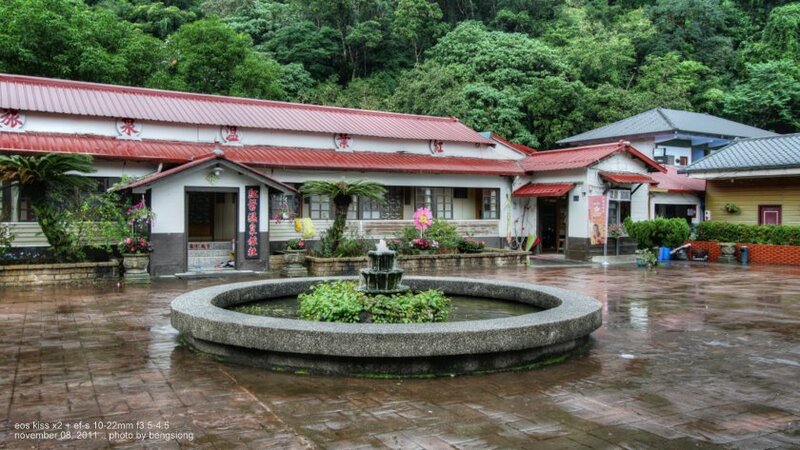 Next stop was in Donghe town, a short break for the famous ‘baozi’. Had a couple with pork meat fillings, and also the bamboo shoots and red bean varieties. I was practically surrounded by 4-5 dogs (big ones at that, not sure if they’re strays) while trying to eat my ‘baozi’ in peace (not) at the outdoor tables. 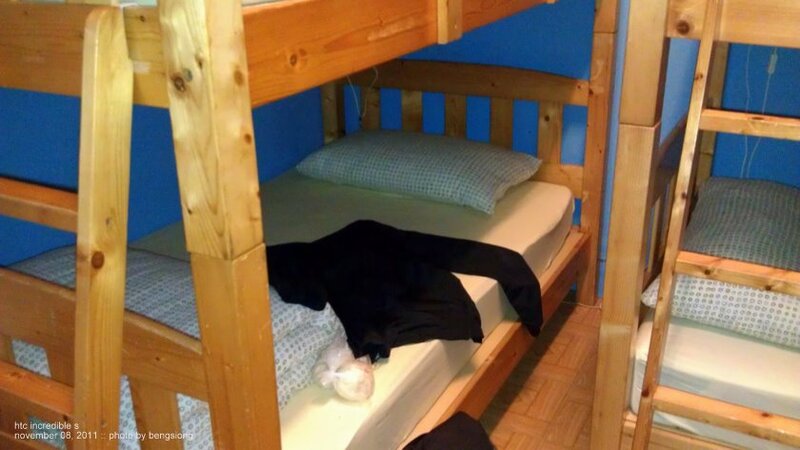 Thankfully they were all well-behaved and just sat around me staring… coincidentally, one group of customers that arrived at the store while I was eating there, later turned out to be my roommates for the night in the hostel in Dulan, although I didn’t know it at that time. Note that there is a 7-11 store just across the road from the ‘baozi’ store. Bought another large bottle of Supau to refill the near-empty water bottles. Around a quarter of the journey towards Dulan, it started raining – or rather, pouring is a more apt word to describe it. Probably the heaviest rain encountered so far on the trip. Bear in mind that there were no street lights along the road outside of the town areas, visibility was really bad, with my small flashlight barely allowing me to see the painted road lines 1-2 meters ahead. Hate it when many car drivers from the opposite direction used high beams on their headlights, as their lights totally washed out my sight and I had to slow down to a crawl until they passed me, or risk inadvertently heading into the drain at road bends. 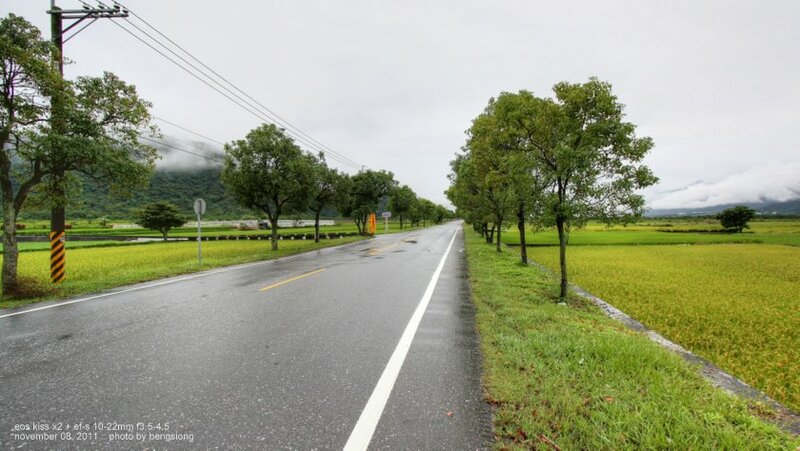 The heavy rain continued all the way to Dulan, and the sight of the next familiar 7-11 store sign was a relief as it was a sign that I had reached Dulan town. But for some reason I missed the signboard for the sugar factory, where the hostel I wanted to go to was located nearby, and proceeded past until the disappearing streetlights assured me that I had already overshot Dulan town area. Made a u-turn back to the 7-11 store to seek shelter from the rain, and the magical crystal ball GPS was consulted – ah… it is actually just the next junction after the one beside the 7-11. And sure enough, there’s a big signboard for the sugar factory there alright – wonder how I missed it the first time around.